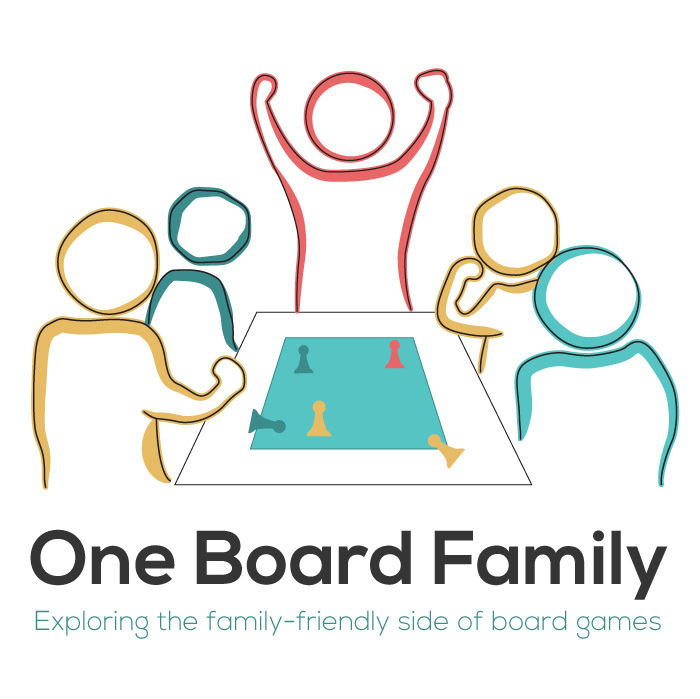 One Board Family is your destination for family-friendly board and tabletop games. Ryan and Erin Gutowski along with their friends Ric White and Bob Crowell, cover games for families of all sizes. Whether you’re looking for a game to play with your spouse or something for those little gamers in your life, One Board Family has you covered. On the blog you’ll find reviews, news and interviews on this wonderful hobby. 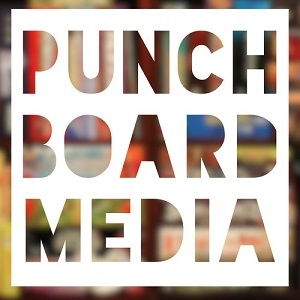 Don’t forget to check out the One Board Podcast for even more gaming goodness. Dennis Hoyle of Bellwether Games is guest judge and supervisor as Ric and Ryan pitch board games ideas based on home repair. Our guest judge Rob Daviau has a couple designs under his belt so we invited him onto our podcast. Hopefully this podcast will jump start his career. Can you collect the treasure and out run the ghosts? Bob takes a trip to the swamp in TMG's latest release, Ghosts of the Moor. Ric takes a look at a new word building game that just may be the most accessible game in this genre. Wisdom of Solomon places you at the center of the building Solomon's Temple in Isreal. Can this worker placement game earn a space on our family game shelf? Quacks of Quedlinburg has players creating potions out of just about anything they can find. Just be careful not to create an explosive brew! Have you heard the one about the game designer, the teacher and the web designer who walk into an auto repair shop? No? Then listen to this podcast. This week our topic of the show is gaming in the communities we live in. We share tips on running game nights and investing in the places we live. Dig into the dirt and uncover treasure, find valuable resources or discover artifacts. Does this new filler game from TMG strike gold or will it leave us searching for something more? Linsae and Aaron of the Boards Alive Podcast judge our romantic game pitches. Can Ric and Ryan hit a home run with these two games? This week on the show Ric, Bob and Ryan talk about how they game with their spouses plus Bob reviews Gizmos from CMON Games. The chase is on to be the first captain to retrieve the Dread Pirate's flag. CardLords brings a great capture the flag game to your family game table. Designer and publisher Jamey Stegmaier lends his expertise to judge two very different games about robots. This week Ric and Ryan discuss the pros and cons of mixing digital and analog gaming. What happens when the tech is no longer supported? Plus we have a review of Detective from Portal Games. Bob Crowell takes a look at the colorful engine builder “Gizmos” from CMON. We sit down with legendary designer Reiner Knizia to talk about the game industry, future projects and the background behind some of our favorite games. Keymaster Games allows you to explore the national parks from the comfort of your game table. Ric takes a look at their new Kickstarter project for the game “Parks”. Ric and Ryan are pitching games themed around some of their favorite NES games to guest judge Joshua J. Mills, designer of Big Easy Busking. This week we talk family gaming with Eric Summerer of The Dice Tower. Plus Bob and Ryan round out their Top 10 games of 2018. This week we have Eric Summerer of the Dice Tower lending his voice and swift judgment as Ric and Ryan pitch games based on grocery shopping. Erin and Ryan picked up "Welcome to the Dungeon" on a whim during a date night. Does this game hold up or should it have stayed on the store shelves? Capture bugs to create a collection that will be the envy of all your friends. Should this super cute game about insects crawl its way onto your game shelf? This week Ric and Ryan are pitching games based on classic John Hughes movies to guest judge Steven Aramini, designer of Animal Kingdoms. We’re back with another season of the podcast. This week the “Game Doctor” makes a house call and we review the game Chronicles of Crime.